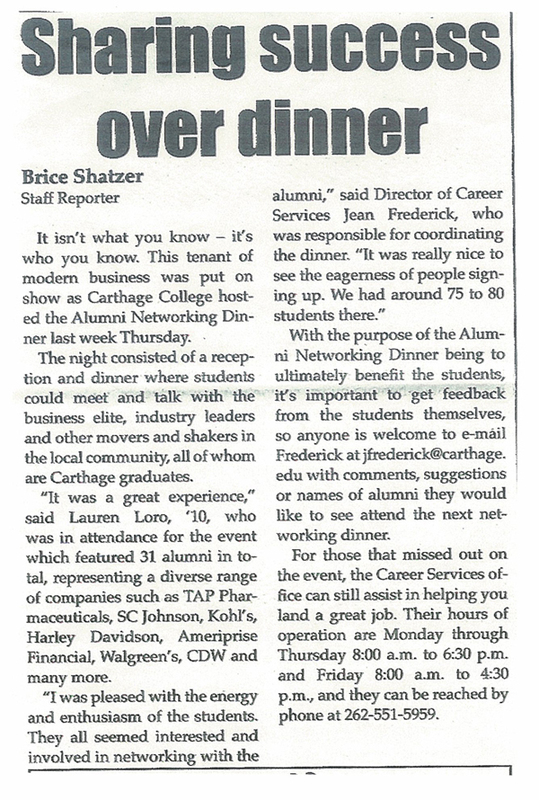 Through my educational concentration and experience as a student journalist, I've had the opportunity to become a more competent and experienced writer. This experience, paired with my natural inclination toward technical knowledge and skills, has put me in a unique position to create things like training material and design documentation that must convey esoteric processes or ideas in a understandable and useful way. Below you will find various examples of my writing. Along with a copy of the original work, I have included a brief explanation to help provide the context & background of each individual work. Upon leaving Links Technology, I was asked to document the more complex projects I had worked on. Since most of these were built using Adobe Business Catalyst, a section of that documentation was devoted to covering some of the basic ideas and concepts, discussing some of quirks I had encountered, and providing some additional resources I found useful while working on the platform. Created a design document to be used by an external development company to create an application that would allow users to manipulate their fantasy football teams using mobile devices running the iOS platform. From the original concepts through the finalized document, the entire project was completed independently. Created an expansive internal user manual to help new employees get familiar with the administration system and processes behind RapidDraft.com. Created an internal document for non-technical employees to guide them through the process of creating and managing banner advertisements using the Absolute Banner Manager XE Software. 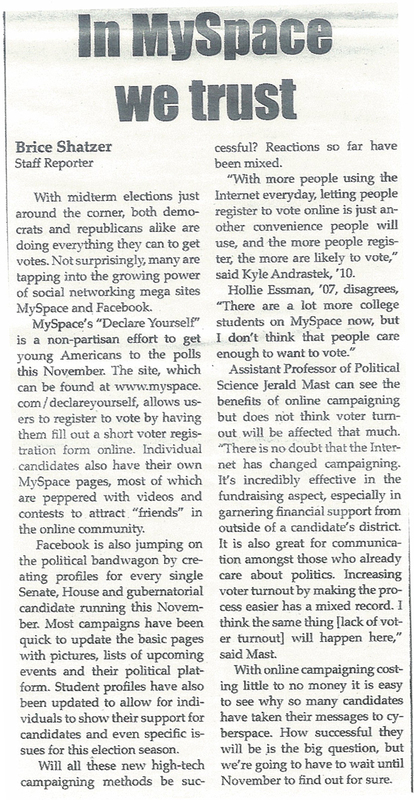 Social Networking and Politics Article - "In MySpace We Trust"
An article covering the potential effect of social networking sites on an upcoming midterm election that appeared in the weekly collegiate publication "The Carthage Current"
Winter Charity Event Article - "Runners Bundle Up for Festive 5k"
An article that previewed the Jingle Bell Walk/Run for Arthritis, an outdoor charity event held during the winter which appeared in the weekly collegiate publication "The Carthage Current"
Women's Collegiate Volleyball Article - "Lady Reds Clinch Winning Streak Record"
An article covering the Carthage Lady Reds Volleyball surpassing the CCIW record for consecutive conference wins that appeared in the weekly collegiate publication "The Carthage Current"
Alumni Networking Dinner Article - "Sharing Success Over Dinner"
An article covering a networking dinner that was held on campus that appeared in the weekly collegiate publication "The Carthage Current"